If this week’s $1.6 billion lottery jackpot had you daydreaming about big numbers, how does $6 billion sound? That $6 billion figure is the annual amount North Carolina is expected to contract out to various managed-care groups as it overhauls the state’s Medicaid system. Earlier this week the state crossed a major hurdle in receiving federal approval of its waiver to reform the system that covers more than two million people in our state. Approval by the federal Centers for Medicare and Medicaid Services in what’s known as a Section 1115 Demonstration Waiver means the N.C. Department of Health and Human Services is on track with its Medicaid reform plan. The department will begin transitioning three-quarters of the state’s 2.1 million Medicaid patients next November to managed care and away from the current fee-for-service system. The approval came after the state already collected applications from eight managed-care companies and provider-led groups who want to be involved. A decision on who wins those bids is expected to come in February. The first patients will migrate to the new system next November. The approval (a copy can be read here) also gave a green light for pilot programs to look at alternative ways to improve health, making North Carolina the first state to receive permission to use Medicaid dollars for enhanced case management tools to target what are referred to as social determinants of health such as homelessness, family violence, toxic stress, transportation issues and food insecurity. Also getting a thumbs down from CMS was a proposed program, Carolina Cares, that would have been an alternate way of expanding the Medicaid program to cover the hundreds of thousands of North Carolina adults who are without health care and earn too little to qualify for a subsidy. Carolina Cares was conceived as a backdoor of sorts to Medicaid expansion – it proposed to have low-income adults in the workforce pay into a health care plan without contributions from state coffers. But it couldn’t get enough support from the Republican-led state legislature, which has joined other Republican legislatures around the country in opposing the Medicaid expansion that became an optional piece of the Affordable Care Act after a Supreme Court ruling. That’s why CMS didn’t give it the green light, advising that the state need the support of its own legislature before coming to CMS for permission. Holding out hope for Carolina Cares is state Rep. Donny Lambeth, a Winston-Salem Republican and co-sponsor of the Carolina Cares bill. Though it didn’t get backing last year, he’s planning on re-introducing it and hopes to persuade more of his colleagues this go-around. “We’re not giving up on it,” he said about the proposal. Neither is Cohen, who served in the Obama administration as CMS’ chief operating officer. Currently one-in-five North Carolinian rely on Medicaid coverage. 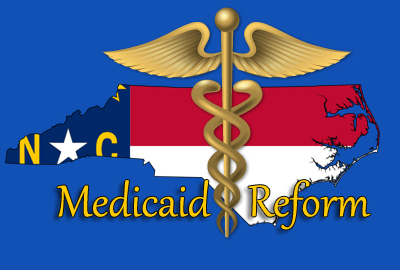 Learn more about Medicaid reform and read today’s full story at NC Health News.